I was reading some of my journal entries from my mission the other day. I didn’t keep too consistent of a journal and the entries are sporadic. I mostly wrote everything that was happening in long letters home to my family which I have compiled into a big three-ring binder at home. If you were to peruse my personal mission journal, though, you would think I had suffered severe eyesight problems. Either that or I was going blind. Why? Because very frequently I would write that I was having problems with my eyes. I smile to myself reading these entries. I developed code words for things in my journal and in letters home so everyone could read them but only I knew what they really meant. By sharing these specific excerpts on this particular platform, I am quite confident you can deduce what my eye problems truly signified. Fascinating. This idea never occurred to me - I either left stuff out, or completely avoided the journal. That's funny. As I was reading your post, I was thinking about a common activity that might have been contributing to your vision problems. I know of what I speak as my glasses and hairy knuckles demonstrate. Hilarious. That reminds me of entries in my journal, although I don't think I was ever brave enough to write home in code. Welcome to the MoHo community. I look forward to following you. OMG! I can't decide weather to gewt my eyes checked or not. 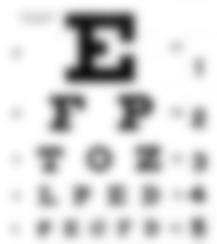 I can't read the big letter of an eye chart. Is that bad?